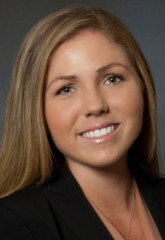 Krista Downey, a graduate of the University of Miami Law School, is a Member of the Florida Bar. Ms. Downey began her career in at Thomas N. Silverman, P.A. and focuses primarily on Trust, Estates and Tax Planning matters at the firm.